I was recently contacted to review the Lightening Spray by Jerome Russell Bblonde*. 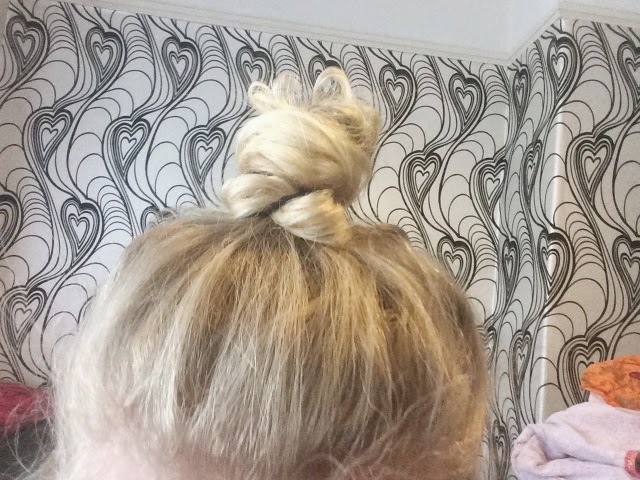 If any of you have seen my hair post you can see that after years of dying my hair, I was going to let the bleach blonde colour grow out and see my natural colour again! Well when I was sent this, I thought it would be an amazing idea to use it on my natural hair, to blend in the growth a bit and make my hair a bit lighter for summer. It comes in a spray bottle and is super easy to apply. You spray it on towel dried hair then blow dry your hair to lock the product in. The smell isn't amazing, but it's a lot better than amonia in blonde hair dyes that's for sure. I decided for this to be an accurate test I wouldn't spray the bottom layer of my hair so I could really show you guys the difference. 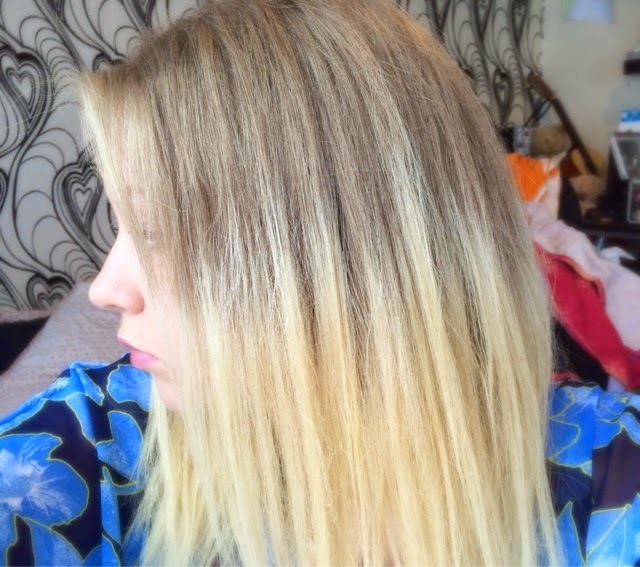 The picture above is of my roots without any lightening spray, and you can see the colour of the rest of the blonde parts of my hair. You can really tell on these two pictures, that after 2 applications it has really lifted my hair, in a subtle way. I was also pleased that you don't get left with patches of colour too, as that wouldn't be a good look! You can see where my hair is naturally lighter, in two weird streaks at the front, but I feel that after I've used the spray more my hair will definitely be more of a subtle dip-dye look. The reason I started growing my hair out was to give it a rest in all honesty! 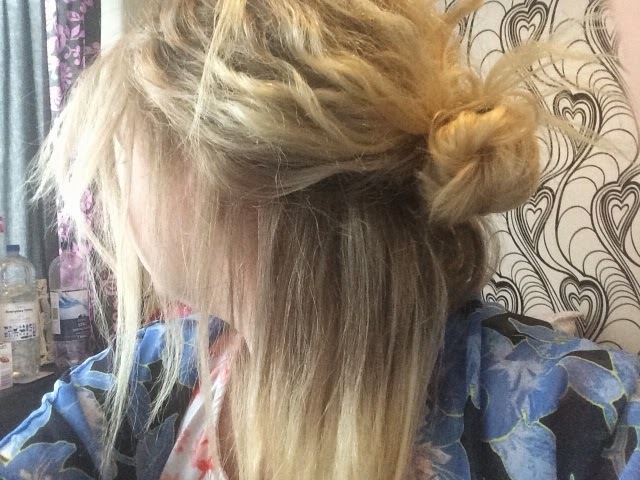 Last year I had close to black hair, and then in July last summer I decided to bleach it (4 times) and this was the colour I was left with on the ends. I have constant split ends from doing this (bad Laura!) and have to get it cut a lot, but I think with using the Lightening Spray I can make my hair a bit lighter for summer without damaging it too much. I also noticed that as the product says it gradually lifts with 3+ applications, I was very pleased to see a difference after two, being a subtle difference, but some change! This is a permanent lightener, so for those who only would like to use this for the summer, I wouldn't constantly use this. The final bonus of this product is it has a thermal protector in it, like a heat defence, so using hair dryers and stylers won't cause as much damage to your hair, perfect! The only thing I would say is that it works best on naturally blonde-light brown hair so if you have hair darker than that I wouldn't recommend you using the spray, I'd look on the Bblonde website and pick something to help lift your colour if you're looking to go blonde. I hope you enjoyed my review! 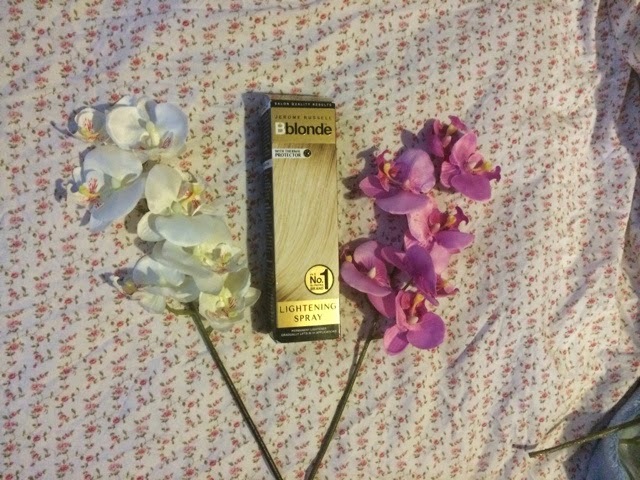 Within the next few weeks I will be reviewing the Bblonde Toner in Platinum for you guys so keep your eyes open for it!